December 30, 2016  The comic initially avoided joking about politics on The Late Show for fear that he would fall into his Colbert Report persona. Originally broadcast Nov. 2, 2016. 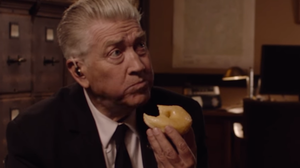 'Twin Peaks' Revival Promises Weirdness And Mystery — But Is That Enough? December 28, 2016  So much of today's high quality TV already feels like a distant homage to Twin Peaks. That may make it hard for co-creators David Lynch and Mark Frost to surprise fans with their revival. December 27, 2016  Barris says his ABC comedy series is about "raising your kids in a different environment than you were accustomed to being raised in." Originally broadcast May 18, 2016. December 27, 2016  Hoffmann grew up in the Chelsea Hotel and appeared in Field of Dreams and other films as child. She says she initially saw acting as "a means to an end." Originally broadcast Oct. 10, 2016. December 22, 2016  Elena Castillo Flores rules the port city of Avalor while learning about life and leadership. 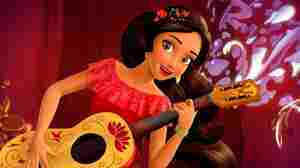 Her creators say they want their show to reflect the diversity of Latino cultures and experiences. 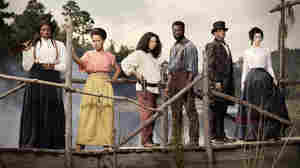 December 22, 2016  Fresh Air's TV critic says that mini-series and anthology shows are expanding the types of stories that can be told on the small screen — and the benefits to the viewers "are huge." December 22, 2016  Rachel Martin talks to Hannah Hart about her YouTube series My Drunk Kitchen and about her book Buffering. Hart got famous for getting drunk and recording herself cooking a grilled cheese sandwich. December 19, 2016  Jeopardy! champion Cindy Stowell recorded her episodes in August, but she died before the first episode aired. December 19, 2016  It has been a perplexing and wonderful year for TV lovers, with more good and great shows than ever, but that overload left viewers drowning in content. We've picked out some of the best for you. December 16, 2016  The show imagines what it would be like if the axis countries had won World War II, and America was divided between Germany and Japan. The show's heroes struggle against totalitarianism. December 14, 2016  Every year, Fresh Air critic John Powers is haunted by all the terrific things he didn't get a chance to talk about on air. As 2016 winds down, he "un-haunts" himself with these six recommendations. 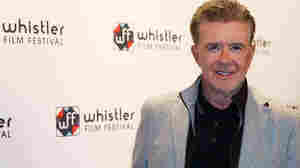 December 14, 2016  We remember Alan Thicke, who died this week after a long career as an actor, writer, host and creator of earworm theme songs you may well know by heart. December 13, 2016  The Canadian-born Thicke starred as Dr. Jason Seaver in Growing Pains, and riffed on that iconic role in more recent guest appearances. 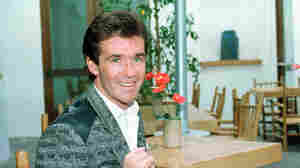 He also composed theme songs for sitcoms and game shows.